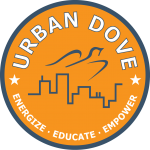 Evening with the Dove is an annual celebration of the past year's successes, honors several individuals at the center of Urban Dove's work, and raises funds used to support our students. This year's Evening with the Dove will be on June 5th, 2019. Get your tickets now! The Softball Challenge pairs New York's top firms with Urban Dove students in a round-robin softball tournament in Central Parks' Great Lawn. The friendly competition is followed up with an after-party where the champion is crowned. This year's Softball Challenge will be held on June 20th, 2019. To enter a team in the 2019 Softball Challenge or learn more, click here. Camp Watitoh, located in the Berkshire Mountains in Massachusetts, is Urban Dove's home-away-from-home. We gather students at Watitoh every year for a week of sleepaway summer camp, complete with Color War, campfires, waterfront and talent shows. It is the culminating event of our program year.